Coastal Chitin LLC produces a variety of chitin and chitosan based products derived from crustacean shell. The LLC enjoys the benefit of major crustacean shell supply centered in the Maine Coastal Region coupled to the year round demand for agricultural supplement of chitin based soil amendments surrounding the Florida agricultural base. 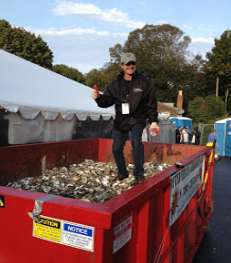 Waste shell is now processed at the Cape Seafood Plant in Saco, Maine in an environmentally sound manner for shipment to CSC in Florida where the shell is converted to a variety of chitin based products for use in agriculture, pharmaceutical, cosmetics, textiles and food preservative coatings. A custom pelletized blend of finely ground chitin and selected beneficial microbial spores readily applied to soil by dust free broadcast spreading. 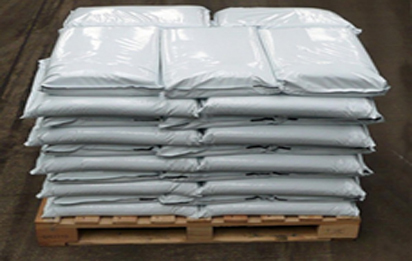 The pellets are engineered to slowly dissolve allowing chitin and spores to enter the soil rhizosphere where beneficial microbial growth works across the growing season to enhance plant growth and eliminate nematode infestation. Care is emphasized to eliminate chemical fumigation of soil in order to allow microbial colony growth to flourish. 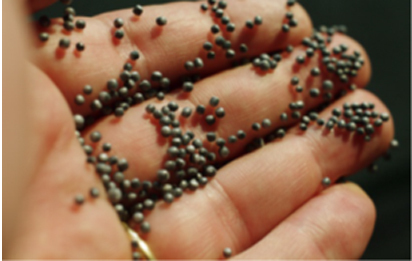 Nema-Not 100 pellets should be applied at a rate of 100 lbs. per acre prior to planting as this product also protects seed and seedlings. A deacetylated monomer of chitin is supplied as a soluble liquid emulsion providing chitosan for immediate treatment of foliage under predator attack. Chitosan has proven to be an effective stimulant for immediate development of plant growth and provides a barrier against bacterial and fungal attack above ground. The natural ability of chitosan solution forms a unique film barrier on foliage, pre-harvest and post-harvest fruits and vegetables thereby preventing spoilage and prolonging post-harvest shelf life. Chitosan is completely harmless to humans and is even used in many nutrient and pharmaceutical preparations. Applied as a spray or dip solution, a little chitosan goes a long way. Dilution rates of 500-1000 to 1 are commonly used for foliage protection. Chitin is a polysaccharide found in the shell of aquatic and terrestrial crustacean species such as lobster, crab, crawfish, shrimp, squid, etc. Similar in structure to cellulose, chitin provides the rigid external skeleton that supports and protects crustacean species from attack. Currently, the vast majority of marine crustacean shell is deposited in landfills as waste. The shell waste is typically comprised of 35% chitin, 30% protein and 35% valuable agricultural minerals. For centuries, farmers worldwide have known that soils rich in certain seafood residue produce healthier crops, but only in the last 50 years has science produced an explanation of the complex relationship of naturally occurring events that occur at the microscopic level providing an environment for plants to flourish in chitin enriched soil. Many soil parasites and plant-chewing insects such as nematodes and fungi living in the soil feed on plant roots and foliage causing reduced crop yield. The external skeletal structure of these parasites is comprised of waterproof chitin, which acts like an armor coat protecting the scavenger from attack by naturally occurring beneficial soil microorganisms. Unfortunately, the tendency has been to apply poisonous chemicals to the soil and foliage in order to eliminate or reduce the population of harmful plant predators in the soil. The application of these chemicals not only kills the beneficial soil microorganisms it also contaminates runoff streams. Use of these chemicals is diminishing rapidly as federal and state agencies ban their use. Science has learned that an abundance of chitin in the soil is detected by sensory receptors in plants causing the plant to react by stimulating increased growth of root structure and foliage. Many plants also react by producing chitinase enzyme. 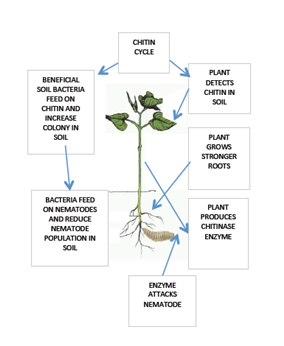 The external skeleton of many harmful soil parasites such as nematodes is comprised of chitin, which is degraded by the chitinase enzyme rendering the parasite protective shell soluble in soil moisture. Beneficial soil microorganisms are now able to penetrate the nematode protective armor coat and feed on the exposed inner tissue causing death of the predator. Certain microorganisms in the soil produce chitinase as well, in order to attack the nematode and feed on the protein within. Thus killing the harmful pest. This is nature’s way of providing a defense against nematode invasion. Science has provided us with the ability to aid nature in strengthening plant defenses and improving crop yield by introducing chitin, chitosan and beneficial chitinase producing bacteria to the soil eliminating the need for poisonous chemicals such as methyl bromide and other known carcinogenic man-made soil amendments. Routinely adding crustacean shell to the soil provides the first step in insuring a healthy soil medium in which nature works to insure healthy plant growth. Chitin is totally biodegradable in soil contributing nitrogen and calcium to the growth medium while insuring a healthy environment for beneficial bacteria to flourish. Plants grow stronger-nematodes are destroyed and crop yield increases. 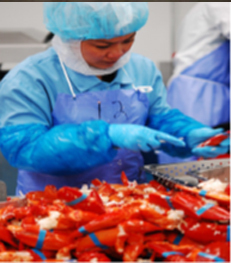 Coastal Chitin LLC was formed in 2015 to respond to increasing demand for crustacean shell derived products proven to provide major benefits to the agricultural industry and to eliminate landfilling of lobster harvest waste in the Northeast Coastal Region. The new venture merges the capabilities and geographic positioning of Holden Enterprises LLC (Cape Seafood) with lobster harvesting and processing facilities in Saco, Maine and Calcium Silicate Corporation (CSC) with agricultural and industrial processing facilities in Lake Harbor, Florida and Columbia, Tennessee.